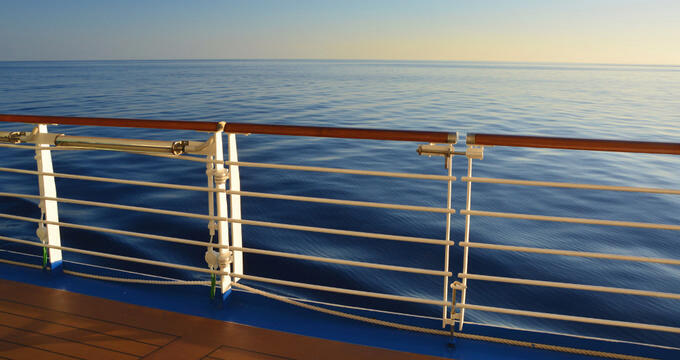 More and more people are taking cruises, with this form of travel offering so many unique advantages. The number one benefit of a cruise is, of course, the convenience. Cruise ships are fitted out with all the amenities and services one could possibly hope to find, including a huge range of food and drinks at all times of day, comfortable rooms of various shapes and sizes, live entertainment, communal spaces, organized activities, and more. Not only that, but taking a cruise means you don’t have to spend a single second worrying about travel; the ship will take you everywhere you need to go, allowing passengers to hop on and off at the various ports and explore a long list of beautiful, exotic locations without any inconvenience. There are many different cruise destinations, with a lot of key locations being found all around North America. If you're looking to take a cruise around North America and nearby areas, Pearl Seas Cruises is a great name to choose. Part of the American Cruise Lines brand, Pearl Seas Cruises runs the premier small cruise ships around the following regions: the Great Lakes, New England, Canadian Maritimes, St. Lawrence Seaway, and Cuba. Offering an exciting arrange of luxury adventure cruises, Pearl Seas Cruises is leading the way in North American water travel, providing top quality hospitality, environmentally-friendly ships, upscale cuisine, spacious rooms, and lots of fun activities and excursions on every cruise. There are six different cruises currently on offer with Pearl Seas Cruises. Each one has its own unique advantages, taking in some of the most beautiful sights of North America and Cuba. Read on for some key details and overviews on each of the Pearl Seas Cruises. This is a 10-night cruise exploring some of the prettiest spots along the Canadian and New England coastlines in the fall. Passengers will be able to stand out on their own private balconies and admire the stunning scenery from the comfort of their rooms. Some of the stops along this cruise route include Quebec City, Iles de la Madeleine, Charlottetown, Portland, Halifax, and Bar Harbor. Each day, passengers will have a chance to enjoy various tours and other activities to really make the most of every moment of their trip. This Pearl Seas Cruise runs for just 7 nights and is hugely popular with nature lovers and wildlife enthusiasts, with all kinds of wildlife spotting opportunities to be found along the route. Some of the stops on this cruise include Campobello Island, where President Franklin Roosevelt spent much of his free time, and Grand Manan Island, which offers some of the best whale-watching in the world. If you want to spend two full weeks getting away from the noise and crowds of civilization and submerging yourself in the beauty of the Canadian coastlines, sign up for Pearl Seas Cruises Canadian Maritimes and St. Lawrence Seaway cruise. It runs for 14 nights in total and explores various areas around the Maritimes and northern New England. One of the key stops on this tour is Prince Edward Island, the inspiration for the famous 'Anne of Green Gables' novels. Passengers will also be able to explore Old Montreal, Quebec City, Perce, and other amazing locations. See the Great Lakes like never before on thsi 11-night Pearl Seas Cruises tour of the region. Marvel at the natural majesty of Niagara Falls before heading into nearby Windsor to take a look at some man-made marvels in the Henry Ford Museum. Other stops include the 30,000 Islands area and Mackinac Island along the Georgian Bay. For a pure Great Lakes experience, sign up for this 7-night cruise from Pearl Seas Cruises. Climb aboard the sensationally beautiful Pearl Mist ship for the trip of a lifetime. Visit the only Dutch windmill in North America in the charming town of Holland before stopping off at other locations like Mackinac Island and Parry Sound.